Thanks to its patented exclusive Fluidactiv® complex, Sébium AKN preserves sebum quality, preventing deterioration and thickening, thus effectively reducing the appearance and development of imperfections. • A complete treatment, Sébium AKN also treats all the factors responsible for skin imperfections. Kerato-regulating active ingredients cleanse the pores in depth. Zinc gluconate, sebo-regulating and purifying, slows down overproduction of sebum and the proliferation of micro-organisms that cause imperfections. Soothing agents ease red blotches. 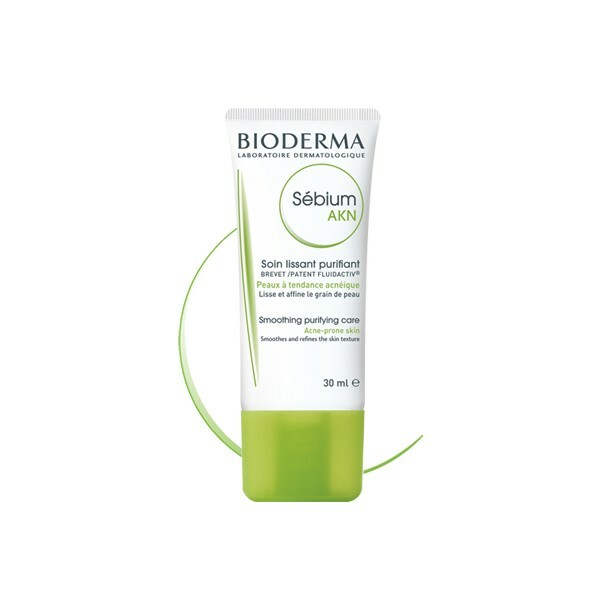 • Sébium AKN smooths skin texture, leaving it clear and purified. It recovers its natural balance. • Rich in hydrating agents, Sébium AKN is very comfortable to use. • Non-comedogenic, its light, non-oily texture makes it easy to use. • The tolerance of Sébium AKN is excellent. • Sébium AKN can be used alone or together with dermatological treatments to reinforce their effectiveness. 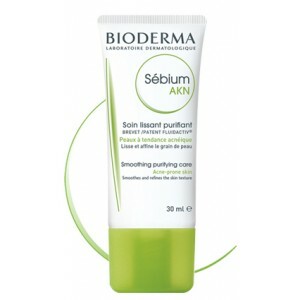 • Apply Sébium AKN once or twice a day to skin that has been cleansed (ideally with Sébium Foaming gel or Sébium H2O). • Make-up can be applied after using Sébium AKN. Avoid the eye contour area.